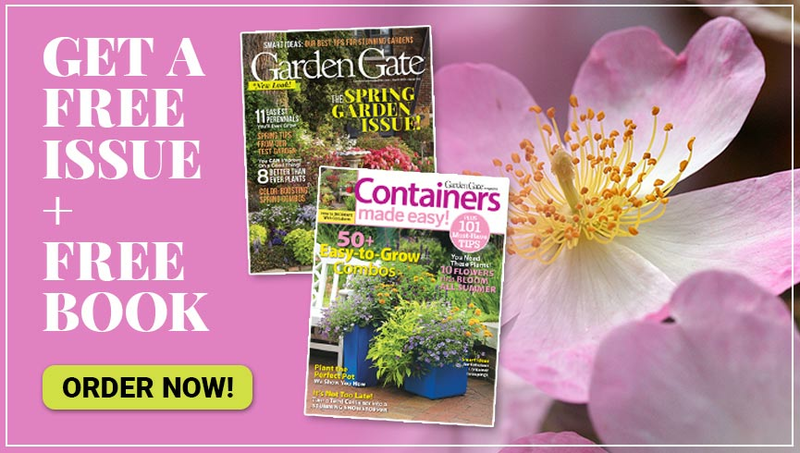 Learn the best way to water your perennial plants with our tips. 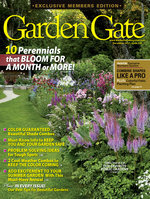 We’ll show you how, when and the best watering tools to help your perennial garden grow better. It doesn’t matter where you live or if your garden is in sun or shade — you’ll have to water perennial plants sometimes. Here are a few things to keep in mind so you can give your perennials the water they need to thrive and look great. How much should I water my perennials? In general, perennials need about an inch of water per week to be healthy. That can come from rain or irrigation or a combination of both. Use your rain gauge to determine how much rain has fallen and then subtract that amount from an inch. This will tell you how much you need to supplement each week. In general, many established perennials can get by with less than this, and newly planted ones may need a bit more, especially in hot weather. How often should I water perennials? A quick drink every day just encourages spindly roots. Instead, deep and less frequent watering is best to promote long roots. 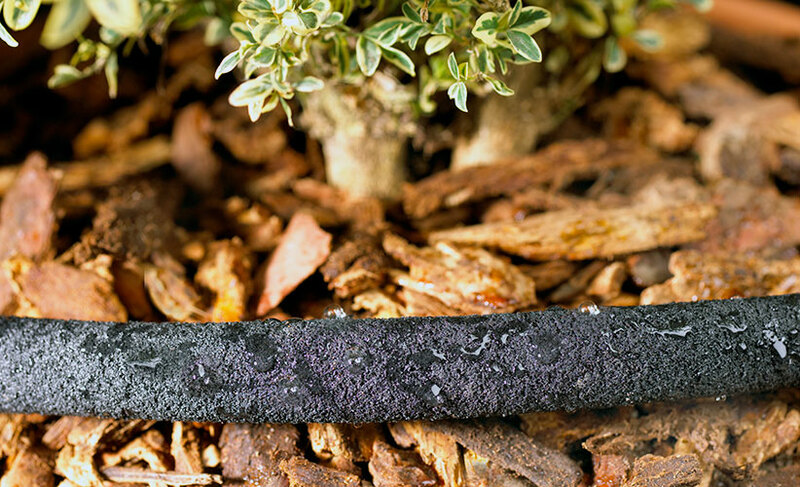 They’ll grow down into the ground so they stay cooler and absorb moisture and nutrients that are held there. Perennials with an established root system can handle a little drought stress, too. When should I water perennials? 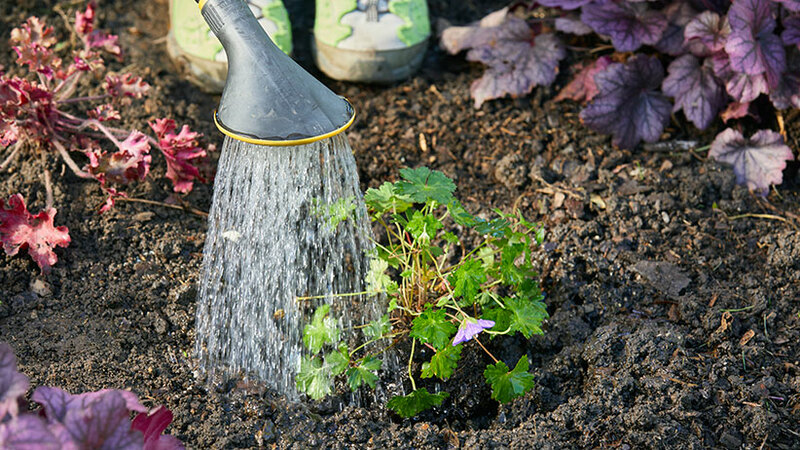 Early morning is the ideal time of day to water your garden. This allows you to soak the roots and lose little water to evaporation. Also, foliage dries quickly as the sun and temperatures rise, so plants are less prone to fungal diseases that settle in on wet leaves. 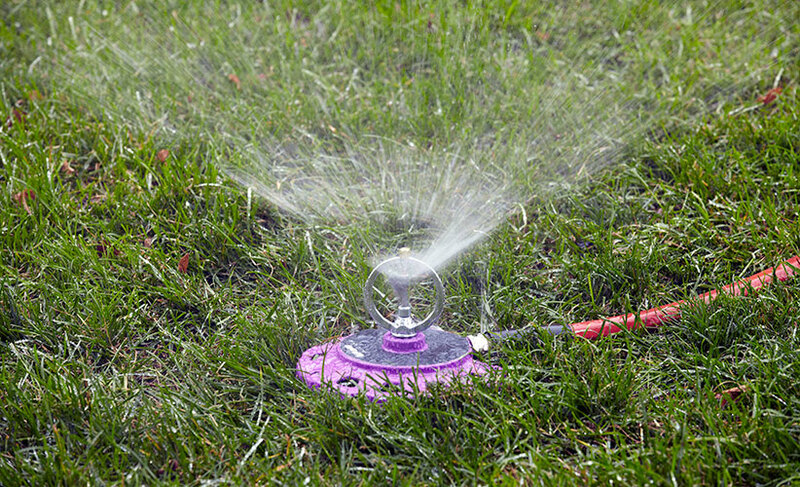 Watering in the middle of the day is less ideal, especially with sprinklers, because the small droplets often just evaporate in the air and never reach the soil. Also, winds are stronger at that time and can lead to uneven water distribution and waste as it ends up on your sidewalk instead of your plants. If your schedule doesn’t allow you to water in the morning, then late afternoon to early evening is another option. Do it before 6 p.m., though, so leaves have adequate time to dry before nightfall — this will reduce the chance of disease. Noticing wilted plants is usually a good indicator that it’s time to water. However, droopy leaves and stems aren’t necessarily a signal that the plant is drought-stressed. Many perennials wilt in the afternoon, especially on hot, sunny days, but then they’re fine by morning. The best way to know if your plants need a drink is to check the soil moisture. Use a trowel to dig down about 3 to 4 in., where the roots are, to see if it’s moist or dry. Some perennials, such as ligularia (Ligularia spp. and hybrids), give an obvious sign that they need a drink, by overtly drooping. If this plant wilts and still looks that way in the morning, you’ll know it’s time to water. Hand watering can be a relaxing chore, especially on a warm summer day. Be sure to aim your hose-end close to the ground, near the base of the plant. This puts water at the roots where it’s needed. It’s a good method for giving extra moisture to newly planted perennials and ones with high water needs, such as astilbe (Astilbe spp. and hybrids). Sprinklers work well for lawns and large perennial borders. They save you time and are easy to set up, but water loss through evaporation is common and flowers can flop with the weight of too much moisture. Soaker hoses and drip irrigation systems supply water closer to the root zone, and you can leave them in place all season and just hook up a hose when it’s time to water. Cover up soaker hoses with a little mulch so they’re not as visible during the growing season, then drain and put them away for winter storage. 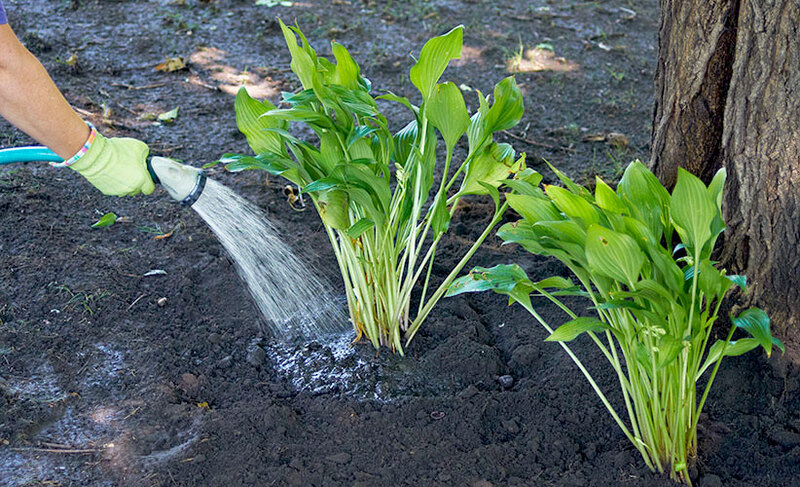 Whatever methods and tools you use for watering, keep an eye out for leaks. Repair hoses and replace washers to make sure the water is going where you need it. Whether you’re looking for more of your favorite plant or just hoping to revive an overcrowded one, you’ll benefit from these easy tips for dividing plants. 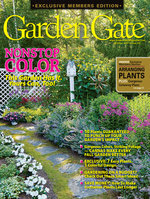 Not sure how or when to divide your perennials? You can find out the details for each specific plant with this handy guide to dividing 45 different perennials. Stock your garden shed with these 3 must-have pruning tools and you’ll be ready to make the cut! What’s the difference between them? Let’s take a look.